Swati’s leadership in sales and account management has helped Harbinger Systems establish a sound customer base worldwide. 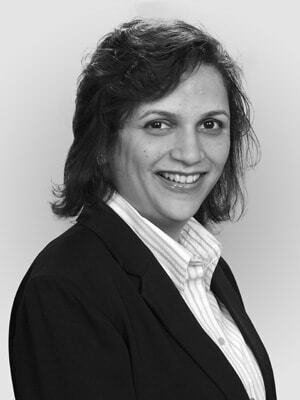 To support the rapid growth, Swati led the expansion of Harbinger Systems’ Redmond (WA) US headquarters and established its Santa Clara (CA) satellite office. Swati believes in going that extra mile to give value to customers and delivering beyond their expectations. This mantra, which has helped Harbinger Systems build marquee customers such as Microsoft and Cisco, has also helped build enduring relationships with several smaller companies and technology startups. In her successful professional journey, Swati has given a special emphasis to cadre building. She has been passionate about building highly motivated and effective teams, to carry the baton to a winning finish. She has achieved this by creating an environment that is nurturing and supportive to taking challenges for high level of performance benchmark. She is a member of international honor society, ‘Beta Gamma Sigma’. The Institution of Engineers (India) honored her in the year 2003 with the Woman Entrepreneur award, commemorating Leelawati Mehendale. Swati holds an MBA from University of Michigan’s Ross School of Business, and a Master’s degree in Computer Science from the Department of Computer Science, Pune University, India. Swati is a founder member of the Harbinger Group.